Elliot, and he bridging of two cultures. “His dog?” I thought. “WTF?” (or at least the 1982 version of that). For about the next 10 minutes, the man, his female companion, and that dog occupied my attention way more than the movie itself. It was too bad too, because the movie we were watching at the Woodward’s Mall was considered by many to be one of the best of the ‘80s. 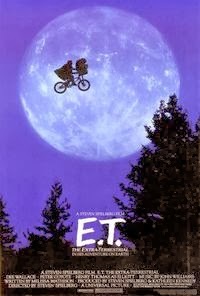 I can’t believe I almost lost the flow of “ET: The Extraterrestrial”, but it turned out to be for a very good reason. 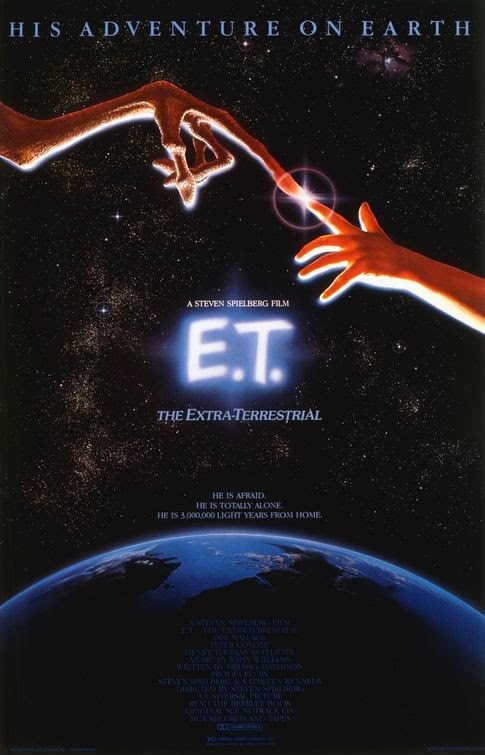 There had been a lot of hype about “ET”. By then, Steven Spielberg had become one of the premiere filmmakers and everything he touched turned to gold. There were cups, shirts, posters, and Atari even made an “ET” video game. The premise was simple, and the execution was appealing. An alien crash lands on Earth, a boy finds him, and helps him get home. The cast was stellar. Dee Wallace Stone played the mother, a very young Drew Barrymore played the baby sister, and Henry Thomas played Elliott, who befriends ET. Thomas had been known best up to that point for a movie he played in 1981, called “The Steeler and the Pittsburgh Kid”, based on a Coke commercial. The commercial featured “Mean” Joe Greene of the Pittsburgh Steelers limping down a tunnel, obviously hurt after a game. A boy comes up to him and offers him his Coke. Joe takes it and the boy walks away. Joe calls out, “Hey kid, catch!” and tosses him his jersey. The movie Thomas starred in follows what happens after the boy’s encounter with Greene. He hit it big soon after when he landed the role of Elliot. The movie was all right, and I am glad I saw it, but I can’t say it left a lasting impression on me, except for the music, which really does resonate and if I think about it, I can still hear it in my head. As for the man with the dog in the theatre, it turned out we had to move because the man was blind and needed room for his seeing-eye dog. His female companion was describing what was happening on the screen. Looking back, she was quite discreet about that. So much so, I never really noticed, until my sister pointed it out.